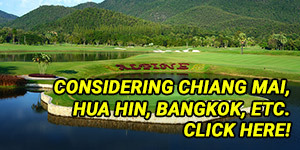 We are known as ‘Pattayagolf.net’ by most golfers, which is the business name of our TAT licensed in-bound travel company Halo Leisure Products Co Ltd. The golf courses, hotels, tour desks and international travel companies know us as Halo Leisure. 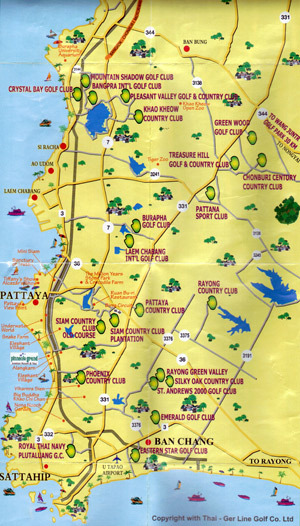 We provide discounted golf packages at most of Pattaya’s beautiful golf courses. Our discounted golf packages can also include accommodation and popular tours. We started selling golf packages in Phuket in 2006 and have taken care of thousands of golfers since then. These include individual golfers to large international golfing groups. Our professional and courteous team speak English and Thai and will provide you with the best service at any of Pattaya’s golf courses. Halo Leisure Products Co Ltd.
7/75 Moo 5, Vichit Songkram Road Kathu, Phuket 83120 Thailand. 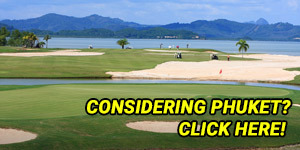 If you want to play golf in Pattaya just book on-line (it’s easy) or call us on +66 84 523 380 and your tee time will be confirmed within minutes.